I used the Sea Scape Impressabilities on kraft cardstock and inked the template with Sahara VersaMagic Chalk Ink before embossing it -- I love how it turned out! I cut the shell paper to fit a 4"x4" chipboard coaster (left) and used the remainder on the bottom of the right page of my calendar. Of course, I also colored the beautiful hibiscus flower images (from Theresa Momber's Aloha stamp set by Gina K Designs). You can see one of Gina's Stamp TV videos on how she colored some Lilies with Copics here. I stamped the flower with Memento Rich Cocoa ink onto Gina K's Pure Luxury Heavy Base Weight cardstock-Ivory. I hadn't tried this ivory cardstock before and when it arrived in my recent order, I was absolutely thrilled with it! For as much Copic ink that I kept layering onto this cardstock, it barely soaked through to the back of the paper (wish I had taken a photo before I adhered it down!). I'm in love and this cardstock will always be in my stamp room now! I love the look of the Letterpress Impressabilities -- they make a great background paper! The calendar itself is my 2010 3-inch downloadable calendar that can be found on my download page HERE. After I printed and die cut it, I added the month with some tiny letter stickers. Thanks for stopping by today -- I hope you are enjoying your weekend! I know I promised some vacation photos and just haven't quite gotten around to doing that yet, but here's one of my favorite ones from St. John USVI that I made into a photo greeting card for today's JustRite Friday Challenge #028, to make a photo greeting card or scrapbook page! The grand prize for this challenge is a set of 12 Copic Ciao markers, so we hope you'll play along! The Copic markers I used on this card were E02 to enhance the shell border on kraft cardstock and B01 was airbrushed around the photo frame while the cardstock was still in the die. The frame reads "If you want to know how much I love you, count the waves" -- love that! Just a few notes of interest -- The Copic Airbrush System 1N now comes with a larger can of 180 air (it used to be a can of 80), for about the same price, I believe! So if you've been wanting to try airbrushing with your Copic markers, now you'll have double the time of air (about 45 minutes vs. 20 minutes) to try it with! And I've updated the Copic Info page of my blog with the latest Copic Certification classes. You can find more detailed photos about how I made my card over at the JustRite Inspiration blog today -- thanks for stopping by! Accessories: Copic Airbrush System, Marvy Paper Trimming Buddy w/Victorian blade, foam tape, sponge, cute photo of kids! It's Dare to Get Dirty Week at Splitcoaststampers! If you're a Fan Club Member this is your chance to play along with design team members (aka Dirty Girls, which I am honored to say I am an alumni of! ), past and present, in a ton of fun challenges! If you're not a Fan Club Member, this is the perfect time to become one -- you can get all the info here. We'd love to have you play with us this week! There are 33 challenges to choose from - play one or play them all. You can find full details about the challenge, including two more samples from my fellow alumni Dirty Girls and friends, Jami Sibley and Jody Morrow, HERE. Easy peasy, right?!! Here's my sample, using one of Karen Lockhart's beautiful new floral images from her Summer 2010 release, Peonies ... my favorite flowers! And then used R83 and R85 to variegate the flowers and give them depth, keeping the darker R85 color towards the lower, larger outside petals of the flowers (and the centers). The orangey red R21 Copic might not normally be used in combination with R83 & R85 but I like the peach contrast it gives with the rose of the R80's for these flowers. The last step for the flowers is to go back with the first R21 mark and blend the colors together. An even lighter R20 was used to fill in some gaps between flowers. The leaves were colored with the YG markers in the photo above and the E's were used on the vase. I hope you'll be inspired to come try my challenge! JustRite Christmas in July Blog Hop! Welcome to JustRite Stampers' Christmas in July blog hop! Today, the JustRite designers are sharing projects from the Christmas Collection I release and we hope it helps get you in the spirit of planning and starting to make your Christmas cards and projects! When I first saw the center stamps in the Hearts Come Home and From Our House 2-inch square stamp sets, I immediately thought of postage stamps, so I decided to make a vintage post card to go along with a sweet poinsettia postage stamp! Just think of all the other possibilities these two sets have, with faux postage techniques! I used just part of one of the 2-inch square borders "Peach on Earth" from the Hearts Come Home and stamped it underneath my snow lady. To make the postage stamp, I stamped the poinsettia from the Hearts Come Home set in black ink and then used the smallest Clear Horizontal Stamper and Times New Roman 15-pt Font & Center (.10) and the Small Letter Set (C) and to create the price of my postage and stamped it with red ink. Using the clear block made it very easy to position the numbers just right! It was colored with the same Copic markers as above. A 1.25" square punch punches out these centers perfectly. The postage stamp is popped up on foam tape. To finish my post card, I distressed the edges with Tim Holtz's Paper Distresser, crinkled it up a bit, and then inked it with Antique Linen and Brushed Corduroy Distress Inks. The post card is mounted to a piece of dark red paper. I think this would make a great Christmas card by maybe adding your family photo on the other side. Thanks for stopping by today -- I hope you'll also visit these JustRite designers, for more Christmas inspiration! I also have another project over on the JustRite blog today -- I hope you'll check it out, too! It's never too early to start, right?!! I know it's a little difficult to think about Christmas when the temperatures are in the 100's (here in Texas), but today's JustRite Friday Challenge #027 can help you get a Christmas card design worked out well ahead of time AND you just might win a gift certificate that you could use to purchase some new JustRite Christmas stamps! My sample is a 3" x 5" tag that can either be used as a card as is, applied to a card front, or used as a gift tag. I used JustRite's newly released 2" square From Our House set. Don't you love all the dimension this set has? The little framed 1.25" square center tree is one stamp and the beautiful swirling ribbon & holly border is a separate stamp ... what great possibilities! I stamped the center tree by inking the tree and border separately with red and green inks, and then stamped the ribbon border with brown ink. Everything was colored with Copic markers (listed below) and die cut with Spellbinders Labels Three Nestabilities die, which matches the ribbon pattern perfectly! I glittered the star tree topper and ornaments with transparent glitter. The "Winter Wishes" sentiment is a border from this same set -- I just inked one side of it and stamped it a few times. The snowflake topper is from Spellbinders Create A Flake One die set. Are you in the Christmas spirit yet?!! Today in the CLASSroom, I'm sharing this feminine birthday card made from an unlikely source, a Christmas stamp set (and a few others)! Combined with a little Copic Airbrushing & markers, and fabulous glitter! I hope you'll join me as Ellen Hutson's "Goodbye to CHF" sale continues ... up to 50% off all her in-stock stamps! Yes, I know it's a little late in the month to just be posting my July calendar, but we left on vacation the last week of June and didn't return until this week! It was driving me crazy not to have it so as soon as I had a little spare time, I got to creating! Orange Copic Atyou Spica Glitter Pen accents the Tim Holt Vintage Marketplace Alphabet letters (sorry I didn't get a better photo of those for you) and Silver Spica was used for the metal frame of the chair. I rounded the corners of the Twinchie Square with WRM Crop-a-Dile Corner Chomper (1/4-inch side). My free blank 3-inch downloadable calendar can be found on the Download page of my blog HERE. To create the background for my 4-inch chipboard coaster calendar, I got some inspiration from Stamp TV's color challenge this week, to use turquoise, orange and green. These colors, combined with the lawn chair, made for an overall groovy feeling to my project so that's where the title comes from! I also used an old technique I hadn't done in a while -- Emboss Resist. If you aren't familiar with the technique, you can view a tutorial video by Gina K here. I started by stamping the single daisy image onto Gina K's Pure Luxury White Heavy base weight cardstock with Versamark ink and then heat embossed it with clear embossing powder. To add more depth and make the white embossed images really pop, I finished my custom patterned paper using Brushed Corduroy Distress Ink around the flower centers and edges of my finished project. After my project was put together, I thought the daisies resembled fireworks just a little -- so that was a bonus! Thanks for visiting today ... I hope your weekend is going well! This week's JustRite Friday Challenge-Nice Notes is to make a shaped note card under 4-inches. This is my sample, using Spellbinders Nested Dahlia die set and JustRite's Seeds of Kindness stamp set. Copic Tip: The Spellbinders embossed edges of their die cuts make a perfect guideline to easily color the edges of any die cut. Here, I used Copic BG72 to easily create the look of an additional mat layer to this folded note card! The cute patterned paper is Basic Grey's new Olivia 6x6 -- love it, it will be perfect for cut projects for my girls! The same BG72 marker was also used to accent the leaf die cut (Sizzix). Copic R20 was used on the embossed edge of the sentiment center die cut and also to color in the border layer underneath it. I hope to be back over the weekend to share a few pictures of our family vacation to the US Virgin Islands. That's why the blog here has been a little barren the last few weeks -- I was preparing to to be gone for 8 days and then trying to catch up since we returned this week! Thanks for hanging out here with me! Do you remember this Mother's Day card I posted here, back in April? I finally put together a Copic coloring tutorial for the Hydrangeas, with step-by-step photos, over on the JustRite Inspiration blog. I hope you'll join me for a few Copic tips! I also wanted to mention a fantastic sale over at Ellen Hutson LLC ... all of her stock of Cornish Heritage Farms stamps are 40% off while they last! You can click on THIS category to see everything that's left but once things are gone, they won't be back in the store, so hurry for your best selection! 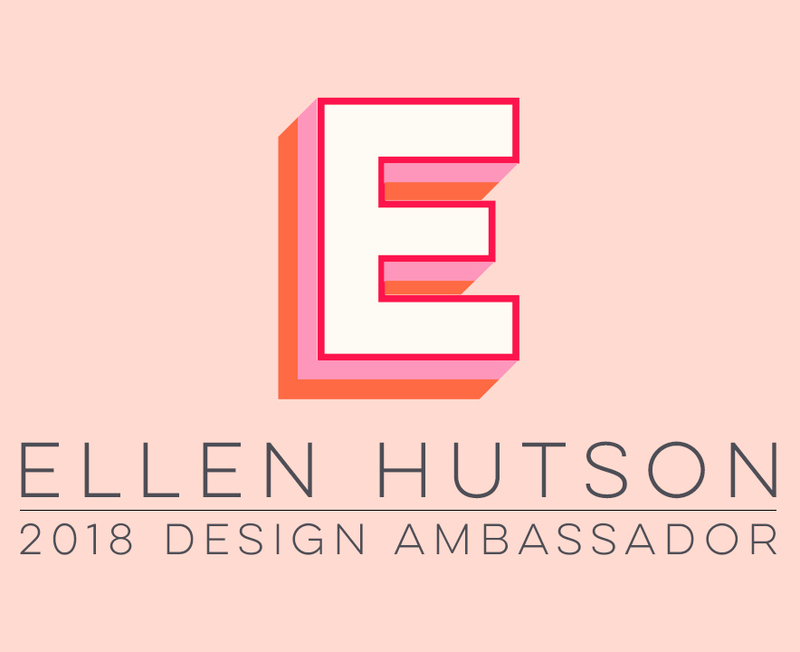 Sale at Ellen Hutson LLC! I just wanted to remind you all of a Summer sale Ellen is having over this holiday weekend, if you haven't already heard about it. It actually ends TODAY, so I didn't want you to miss it -- along with some fabulous crafting projects Ellen and a few of her designers have put together over the past few days. The theme is "School's out -- craft with your kids!". Since I'm not currently crafting with my kids but on vacation with them instead, I didn't get a chance to create anything for the promotion before I left. But you can find some fun, terrific projects to make with your kids while they are on Summer break by visiting Ellen's blog, Simple Dreams, and the CLASSroom. The sale ends tonight at midnight, Pacific time ... so click on the blinking icon above to get started! Just use the promo code "KIDS10" (without the quotation marks) to get started! Today's JustRite Friday Challenge is to use a sentiment stamp on the outside as well as the inside of your cards. I know I'm guilty of leaving my cards "naked", so I can use them for any type of occasion (or add the sentiment later), so this was a good challenge for me (you can see the sentiment on the inside of my card over at theJustRite Inspiration blog). I hope you'll join me and try the challenge ... you could win some brand new Justrite Christmas stamps! Wishing all my American friends a very happy Independence Day holiday weekend!